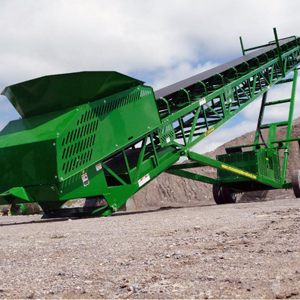 McCloskey's stacking conveyors provide stockpiling solutions that maximize the efficiency of mobile screening and crushing plants. Tracked or wheeled, McCloskey conveyors deliver high stockpile capacity and less downtime across every application. Contact Pacific Rock and Recycle for proper sizing and availability.